When CARS came to the theaters in 2006, I was mesmerized. My youngest son, who was only a year old when CARS came out, grew up worshiping Lightening McQueen and Mater, and has collected quite a treasure of CARS memorabilia. 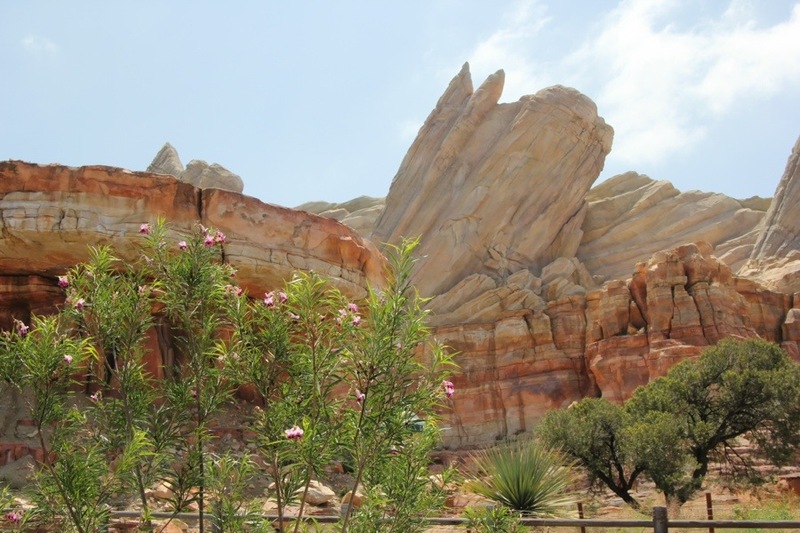 When I turned the corner into Cars Land last week, I saw Radiator Springs through my son’s eyes, and only wished that he had been there to experience it with me. 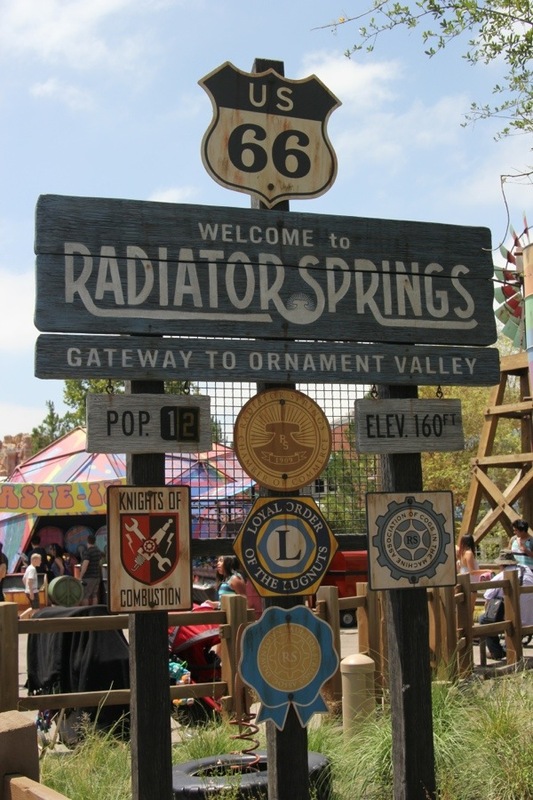 I noticed Flo’s V8 Diner, where I had lunch; Luigi’s Flying Tires, where Caryn and Louise and I stopped for a fun photo; Ramone’s House of Body Art; Radiator Springs Curios; Cozy Cone Motel, where my fellow travelers stopped for snacks (everything served in cones! 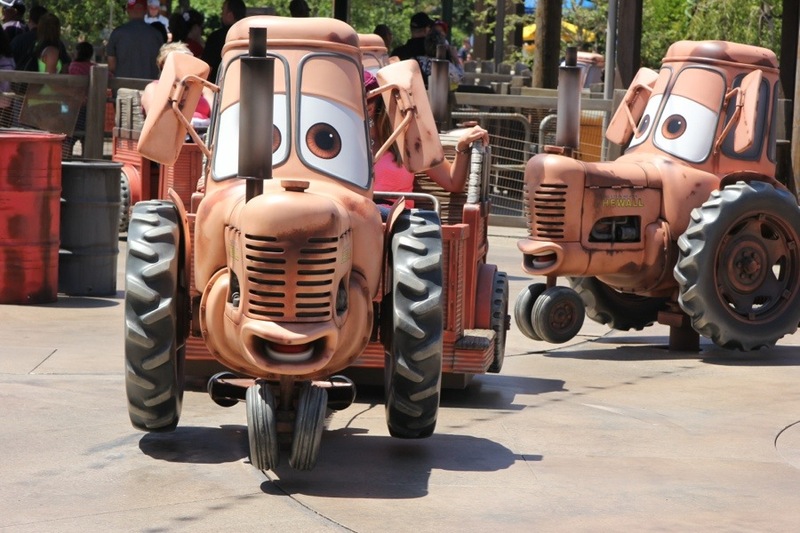 ); Fillmore’s Taste In; Mater’s Junkyard Jamboree, where we rode an exhilarating Mater-esque ride; and Sarge’s Surplus Hut, where I stopped for some souvenirs to take home to the kids. 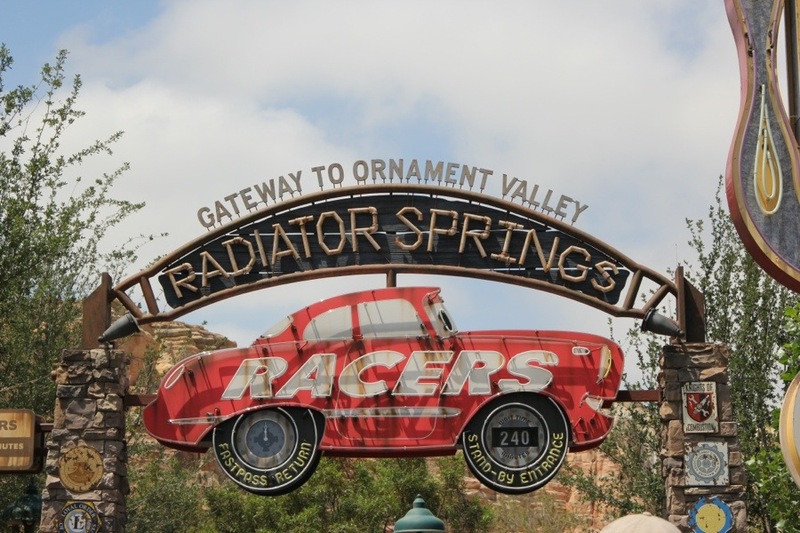 And I can’t even begin to express how incredible the ride Radiator Springs Racers was. Best. Ride. Ever. It had characters, amusement, excitement and SPEED. And the whole ride took place in a car. Incredible. 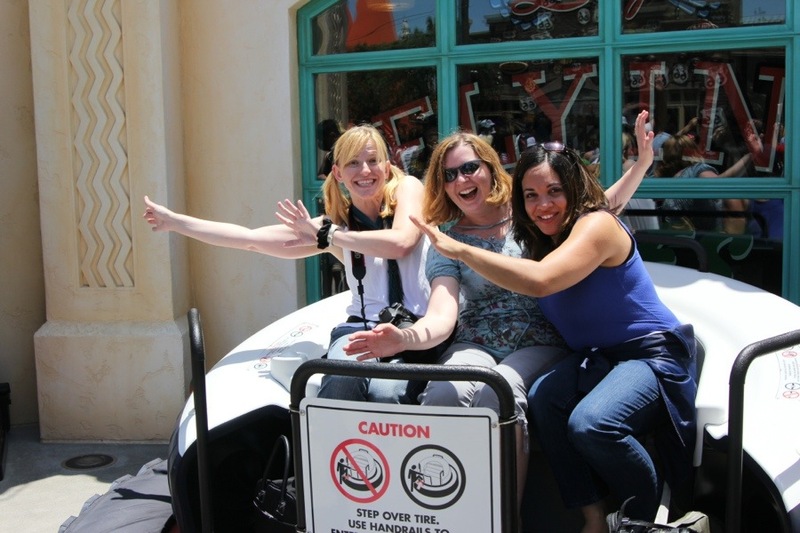 I walked down the street where Lightening McQueen and friends had….rolled. I saw Lightening McQueen himself (and Mater, too) crawling through the crowds down the main street. Little girls have always had the opportunity to meet their favorite princesses at Disneyland…and now boys and girls of all ages can meet real, live, moving cars characters from their favorite movie. The kids in the crowds were fascinated…but I saw the same look of fascination in the faces of the parents as well. 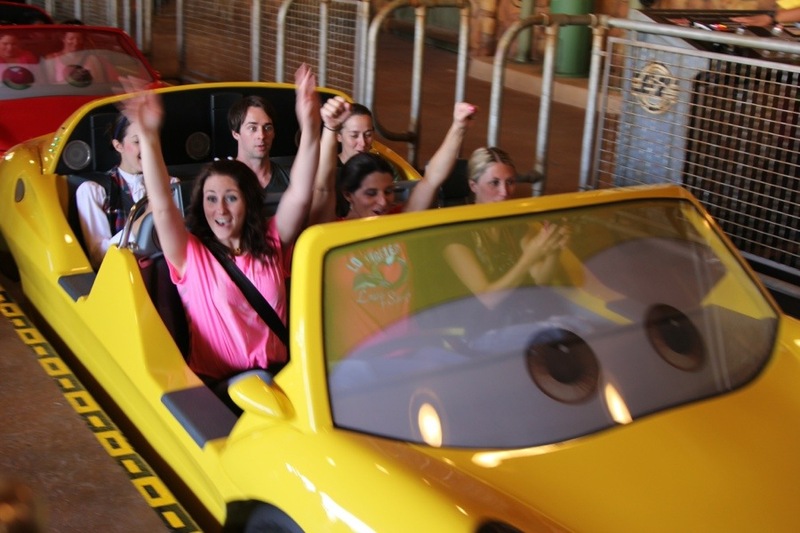 Disney does everything well…but Cars Land was over the top incredible. I can’t wait to go back. And next time I want my kids to experience it. I don’t have to wonder, though, whether they will like it or not. There’s no question about that. 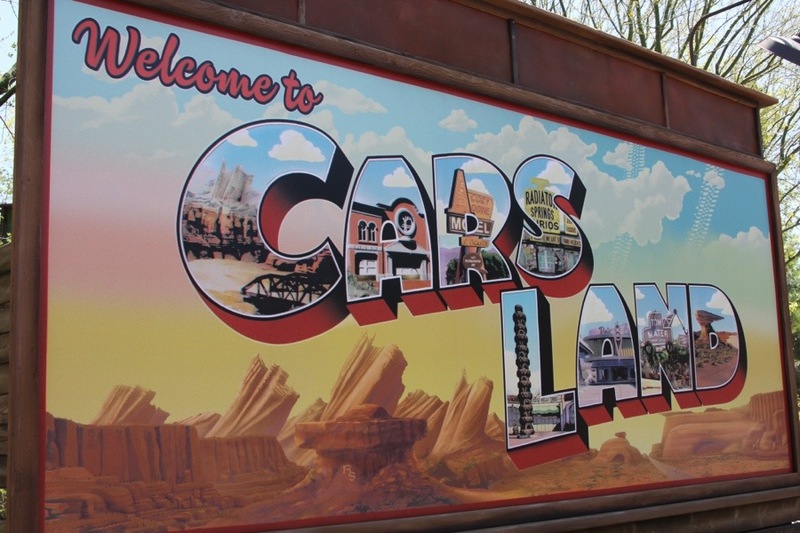 Disclosure: I visited the brand new Cars Land as part of the recent expense-paid trip that I took with Disney for the premiere of BRAVE and the opening of Cars Land. All opinions are my own. 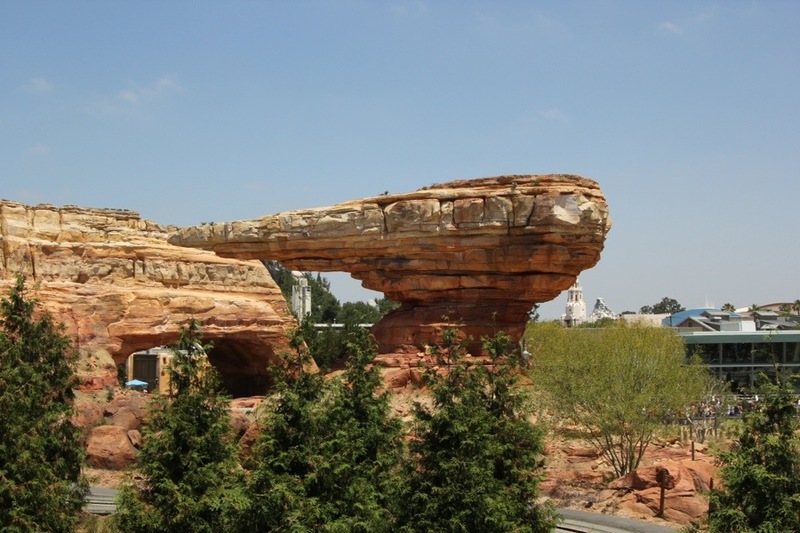 Radiator Springs looks amazing! So over the top and lifelike… and FUN! I would love to eat at Flo’s Cafe – sounds fun!